Come share the sights, sounds and smells of archery with the legendary Glenn St. Charles. From the 1920’s to today, these 36 chapters are packed with nostalgia, history, and a rare kind of knowledge that can only come from years of hands-on experience. 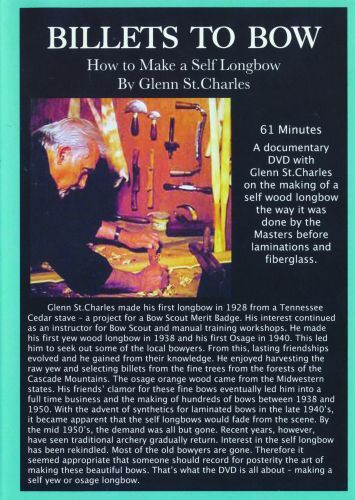 Master Bowyer Glenn St Charles shows you how to make a hard-hitting yew bow. Everything from cutting the tree to final testing and shooting of the bow is covered. Hundreds of photos and illustrations. 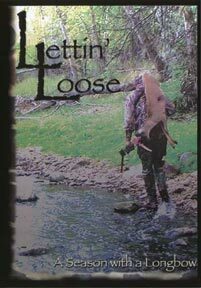 A companion book to the video, Billets to Bows, and much, much more. 195 pages. By Glenn St. Charles. 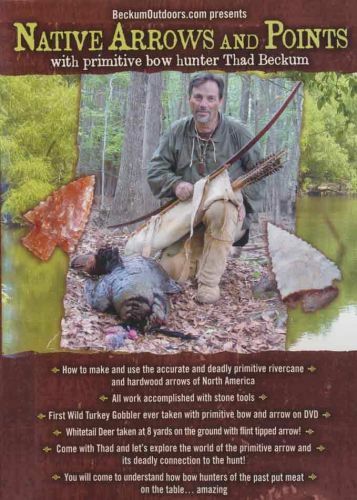 If you’re interested in how to make your own wood bows, be sure to get your own copy of this DVD. In it, you’ll join master bowyer and bowhunting legend Glenn St. Charles and his son Joe as they harvest their own yew tree in the Pacific NW and show you every step in making the American Yew longbow. 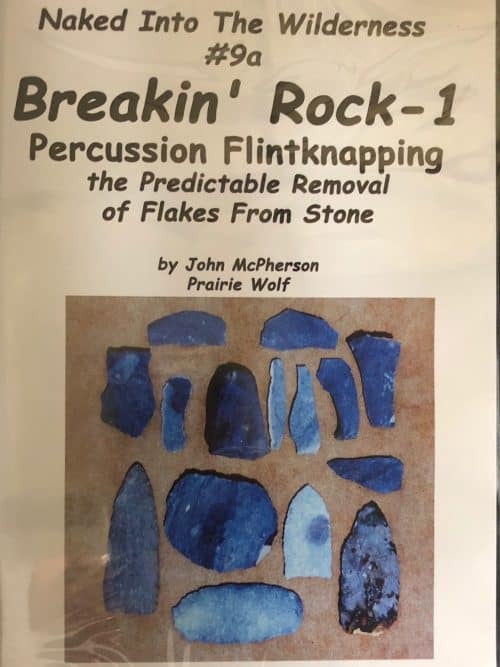 More than an hour of priceless bow building knowledge including: layout, billet splicing, rough and final tillering, rawhide backing, and finishing. 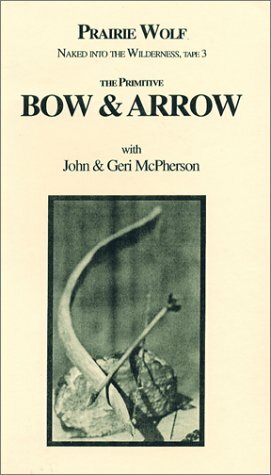 As a bonus there’s an overview of how to shoot yew longbows. The information is clearly presented and easy to follow. 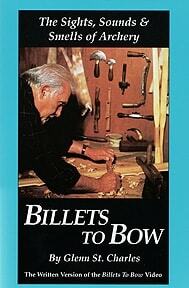 You’ll learn how to build the style of yew bow that was popular in the 1940’s by a living master bowyer.